Excelsior-Werk Rudolf Kiesewetter was founded in Leipzig 1908 by Rudolf Kiesewetter. 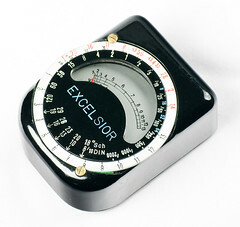 Among other electronic measuring instruments, it manufactured several selenium light meter models starting from 1933. During the Second World War the company was inactive for several years. The company still exists as Rudolf Kiesewetter Messtechnik GmbH. This page was last edited on 22 November 2016, at 11:45.